Hulu Australia is a service similar to Netflix, which allows its users to stream series and movies from ABC, the CW, Fox, the BBC, and NBC, to their Internet devices the day after they air. It charges a monthly subscription fee, and is geo-targeted to users in the United States and Japan. So, what is Hulu Australia? Hulu Australia is a myth – Hulu is geo-blocked, and only accessible to users in the United States and Japan. Unless you know how to fool the IP-address based geo-blocking systems using a VPN service. Using a VPN, you can fool Hulu’s systems into thinking that you are in the US. All this whilst sitting pretty in Melbourne or Sydney. It can get a little tricky to know which VPN still works with Hulu. Both Hulu and Netflix have been cracking down on VPNs for some time, but providers such as NordVPN and TorGuard seem to be a safe bet for those who want to make the myth of Hulu Australia real. NordVPN provide a fantastic product for Australians wanting to hide their identity, access Netflix and Hulu and increase their internet privacy. Check out our review now. Hulu Australia and you – why would you do it? Sometimes, people feel as though piracy is, not to put too fine a point on it, wrong. Also illegal. These people then turn to streaming services like Netflix and Hulu to get their content legally. Studies have shown that people are increasingly less likely to pirate when Netflix is available in their country. While there aren’t any such international figures for Hulu, it would be logical to think that that would hold true as well. 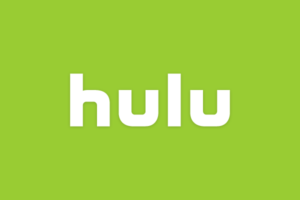 In any case, the shows that are available on Hulu are often available to international users in only one of two ways – piracy, or spoofing Hulu into thinking they are in the US. Some people believe that “waiting until it airs in your country” is also an option, but between Internet spoilers and the fact that most people enjoy watching shows with the rest of the fan community, that has never been a realistic option anyway. Hence, Hulu Australia, created by combining VPN expertise and a little old-fashioned lying. Step 1: Select a VPN. Torguard and NordVPN are both solid choices for Hulu, although ExpressVPN is also good. You will need to create, and pay for, an account with most respectable VPN services, so be aware of that in making your choice – you can have a look at our VPN reviews for in-depth analyses of a variety of VPN services and prices. It might be sensible to contact your chosen VPN before creating an account. This is just to make sure that they do still have servers that can connect with Hulu. This is where it can become somewhat tricky. You need a server in the US, but one that hasn’t been compromised yet. Your best bet is to contact Support at your chosen VPN provider. You will find out which servers are connecting to Hulu without problems. Once you’ve finished setting up your VPN, all your traffic should be masked, and you should appear to be in the US to any sites that care about such things. You will need to create, and pay for, a Hulu account before you can access their content. Hulu has several pricing schemes, some of which include ads, while others are ad-free. Select a pricing plan and create your account. Step 4: Embrace the glory of streaming! * Hulu is currently fighting a running battle against VPN providers in order to stop this practice. Hulu does a little sniffing and find that people from all over the world (based on their account details, apparently) are connecting from a handful of US-based IP addresses. This tells them that they are dealing with a VPN, and they immediately block those IPs. The VPN provider rolls out a stack of new IP addresses which Hulu hasn’t sniffed out yet. The game starts again. Most thinking people consider this immensely stupid. If people can’t get their media through Hulu or Netflix, they can and will pirate the shows. This means that nobody’s getting paid, but such is life – content providers are living in the last millennium and have not yet realised that creating content barriers on the Internet is never going to work. If you find yourself suddenly unable to access Hulu, contact your VPN and see if they still have servers that are not blocked yet. * This practice is not actually illegal. It is, however, against Hulu’s Terms of Service, and they could close down your account for it. However, we’ve never heard of anyone having that done to them, and if they close your account you will be no worse off than before, will you? Except that you will now, of course, be mid-season on a number of shows and exponentially more likely to pirate them than before. A fact that the license holders who are agitating for Hulu to do this seem to have forgotten. And now you know how to access Hulu from Australia. It’s not a perfect method, because it relies on paying a VPN to hide your identity so that you can pay Hulu for content. It’s currently the best option out there right now. Until content creators wake up and smell the coffee, and realise that Australians (and citizens of hundreds of countries across the world) are not going to be deprived of content just because they seem to regard us as second-class digital citizens (and that trying to stop the Internet generation from accessing content is basically impossible), people will continue to fool geo-blocking software, and will continue to find ways to access the content they want, whether through spoofs such as this, or less legal means.